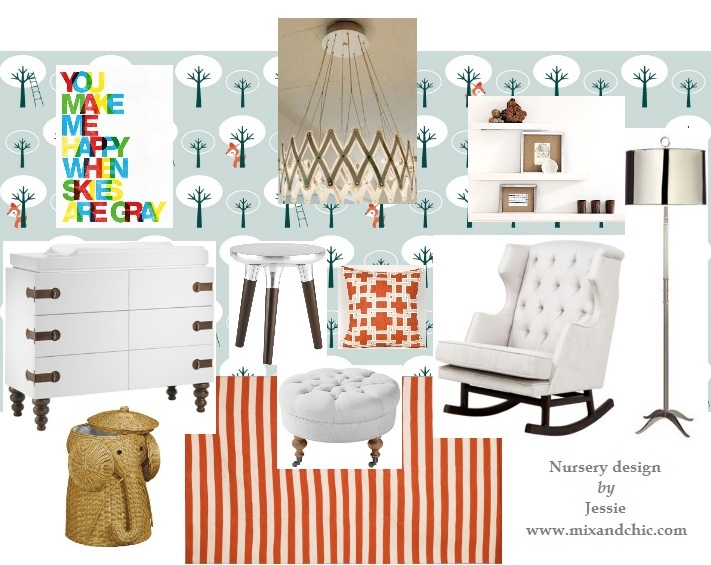 Mix and Chic: Mood board- Modern baby nursery! 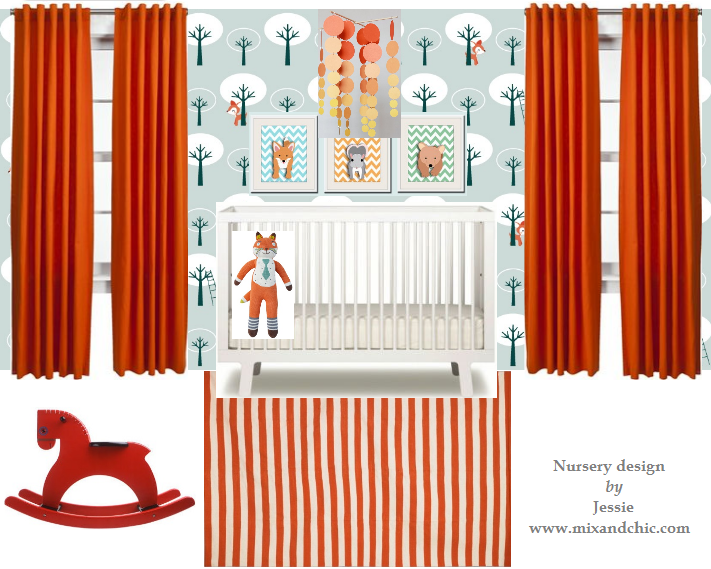 Personally, I really love the look of a modern nursery so I created one today in the form of a mood board for fun! I selected a whimsical wallpaper as my starting point and I continued to add the basics such as the baby crib, a changing station, a rocking chair, an ottoman and two pair of curtains. 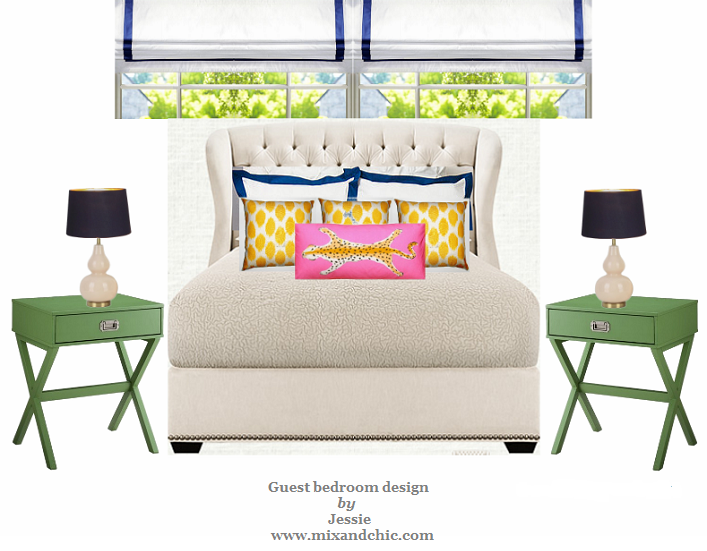 Next, I layered my room with accessories which included a persimmon striped rug, a light fixture, a floor lamp, some artwork, a cascading mobile, a side table, three floating shelves, a decorative pillow and an adorable elephant laundry hamper. A baby nursery is not complete without some toys so I added a doll and a rocking horse to the mix. 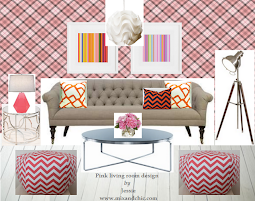 Overall, I wanted a modern, fun, stylish, cheery and whimsical baby nursery. What are your thoughts? Some of the pieces I picked in this room are low end and some are high end. Which piece do you think is the most expensive? And which item do you think is the least expensive? Answer: The most expensive piece in this nursery is the adjustable light fixture, named Zoom Chandelier retailing at $1,700, designed by Floyd Paxton and the least expensive item is the pair of orange curtains, retailing at $20 per pair at Target. Such a happy space. I love that it could be for a boy or girl. It's so cheerful! I really love that light fixture. I would imagine the chair or the nursing table in the last one to be the most pricey items ! Love the color and all the furnishings! Great job Jessie! Love it! 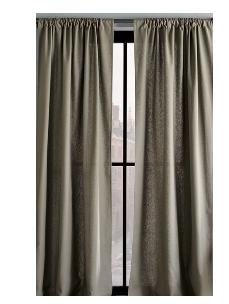 It's SUCH a happy scheme, great for boy or girl, and I adore the bold vibrant curtains and all the other details. I'm going to guess the rocking nursing chair is the most expensive... let us know! Love the space, Jessie! You did a great job! Jessie this is darling!! AND absolutely fabulous! 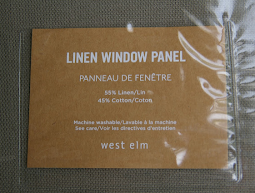 You know I love that West Elm table. The colors are perfect, and so is that wallpaper! Jessie, what a great room. It would be beautiful. I love the orange. I have got to try this. I am going to try the one you sent me. Adorable and chic! Love the colors! I really love the second one! It looks so fun and adorable! These are amazing! I love the wallpaper! OMG, i just got that elephant hamper this past weekend as a gift at my own baby shower. I love it to pieces! Very chic and adorable! I love the changing table and the light fixture. Interesting wallpaper. hi i love the colors and theme, may you be kind enough to write down where the items come from online? I especially like the changing table !